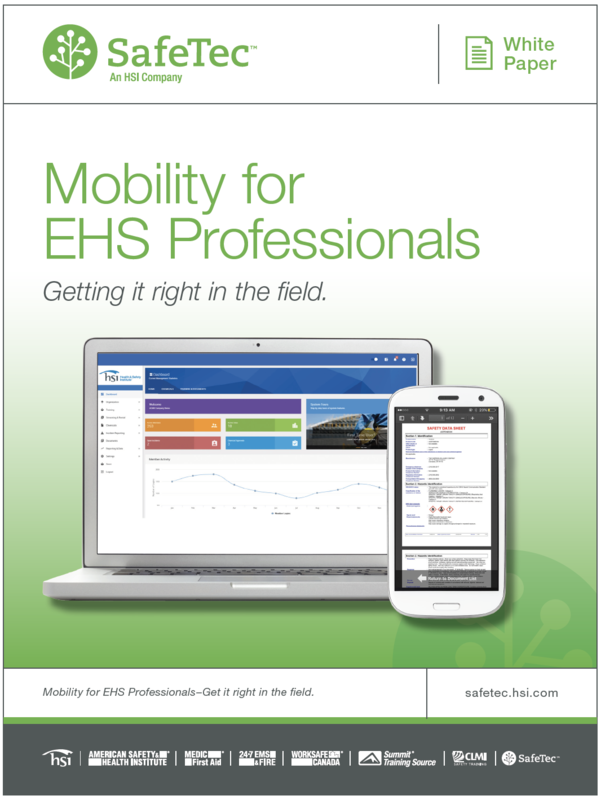 Getting it right in the field: How Mobile are your EHS Employees? Environmental Health and Safety (EHS) professionals work in dynamic environments. One day they are in a factory recording chemical inventories, the next they could be in a classroom providing safety training. Whether outdoors, underground or on the shop floor, a mobile solution for accessing reporting tools makes their job easier and more efficient. In this white paper from SafeTec Compliance Systems, learn how implementing mobile technology for EHS applications can empower your employees in the field while streamlining your reporting processes.